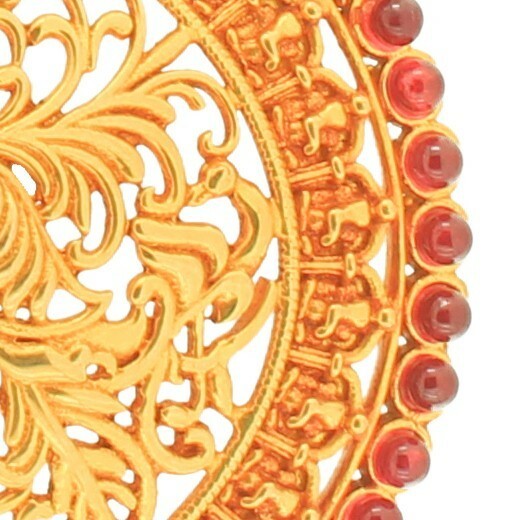 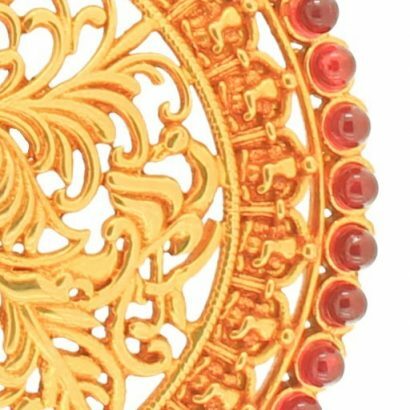 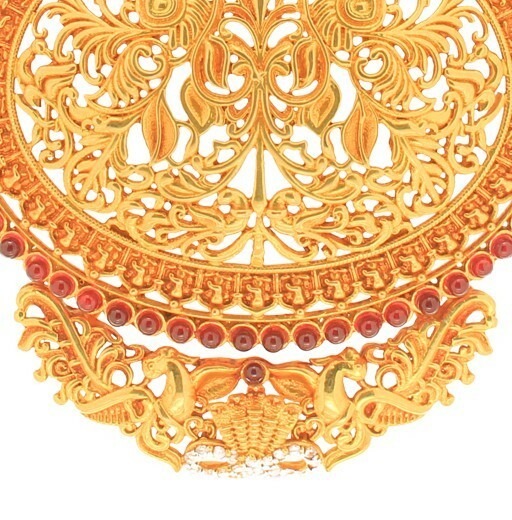 An exquisite traditional item of jewellery inspired by eastern design forms and beliefs. The 22 karat pendant with chain the, ‘Hansaputta’ is a symbol of love. 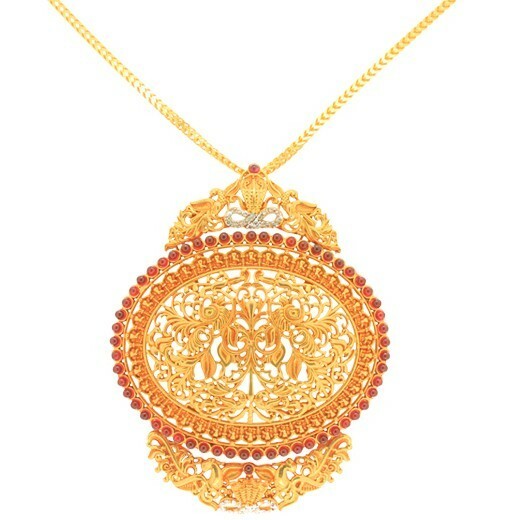 The delicate filigree work is set off with the red and white stones.